At BB Foodservice we understand your catering needs. 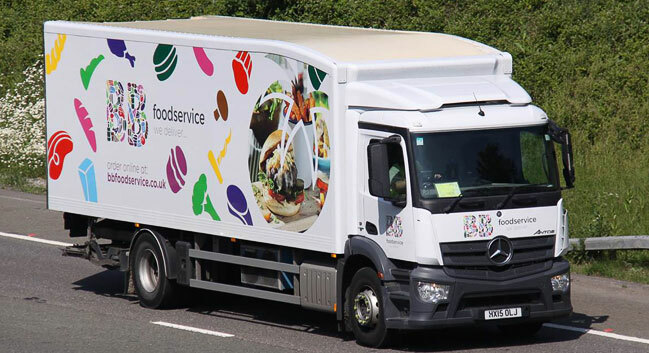 With over 40 years experience in the catering supply industry, we know what it takes to deliver the best products at the best prices for our customers. Our huge range of products means you can choose from high-quality meats, sourced from trusted suppliers, market-fresh fruit and vegetables, an extensive range of chilled, ambient and frozen products, and an expertly-chosen drinks selection. Thanks to our excellent relationships with suppliers we can secure the best quality, at the most competitive prices, across a full range of meats, including beef, pork, lamb and poultry. Our expert butchery service means all our meats can be cut to your specifications. Like you, we only accept the best produce. We work closely with growers around the world to ensure seasonal produce is selected and delivered to you as quickly as possible to ensure the maximum possible freshness. Whether it’s expertly-sourced wines you are after, or bar essentials, we can provide what you need with our extensive drinks selection. Our close relationships with suppliers and wealth of experience in this sector, means we have excellent buying power and our expert negotiators can ensure they secure the very best deals right across the range. Need advice about what to buy? Take advantage of our wine list design and print service. Our skilled professionals can help you choose what to buy to suit your menu, design the layout and provide you with a great-looking and informative drinks list, printed and ready-to-use. Our dedicated Territory Sales Managers can help you develop a foodservice solution that’s tailored to your specific needs, and our customer service teams are on offer to provide expert help and advice over the phone. We are constantly looking to evolve and improve our service and products, so really value your feedback. Get in touch with us here. Our monthly Essentially Catering magazine is available free online. With a wealth of informative articles relevant to the catering industry - recipes, business news, analysis, features, useful product information and offers, it’s your window into the industry from your desktop. Join our mailing list here. © Bestway (Holdings) Ltd 2013-19.